Storage technologies provide temporal and geographical flexibility to energy systems, solving problems related to grid reliability, resiliency and the intermittency of renewables. These technologies can provide a broad range of services and unlike other grid assets are capable of unlocking multiple revenue streams across residential, commercial, industrial, and utility market applications. Last year saw a record-breaking number of battery projects and dozens of partnerships and acquisitions, generating expectations of further growth of the energy storage market. What is the role of energy storage today and how will it look in 10 years? What conventional products and services are being and will be disrupted by storage? What are the technology and cost challenges that need to be addressed? What regulatory and market participation barriers will we need to overcome to enable storage to capture all its potential value? Is it sufficient to improve technology and drive battery costs down, or is the future monetization of storage subject to other bottlenecks? This panel will explore the future applications of storage, challenges and forecasts of storage technology, and the business and financial models needed to create and capture value. Caleb Waugh leads energy storage business analytics at Lockheed Martin Energy where he applies advanced analytics to guide market strategy, business development and product design. He holds dual graduate degrees from the MIT in Plasma Physics and Technology and Policy. 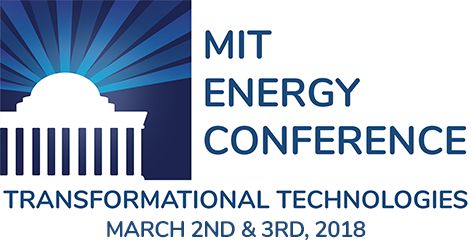 Fikile Brushett is an Assistant Professor of Chemical Engineering at the Massachusetts Institute of Technology with interest in advancing the science and engineering of electrochemical technologies needed for a sustainable energy economy. Dr. Qichao Hu is the Founder CEO of SolidEnergy Systems, a venture-backed Li-Metal battery technology company that he started to commercialize his research at MIT and Harvard. SolidEnergy’s mission is to unlimit technological innovation by removing barriers to longer lasting batteries. A Forbes 30 under 30 and Department of Energy Clean Energy prize winner, Dr. Hu is passionate about deep science based entrepreneurship and the broader environmental impact of energy policies. Mark Johnson is a Research Professor at NC State University and at the PowerAmerica Institute. He was previously the Director of the DOE Advanced Manufacturing Office and a Program Directors for the Advanced Research Projects Agency – Energy (ARPA-E). Mark has also been an entrepreneur in three start-up semiconductor companies QED, EPI Systems and Nitronex.